Convertible Refrigerators: Are They Useful or Just Gimmicky? Today’s new convertible refrigerators claim to keep more fresh items preserved or store more frozen foods — the choice is yours. The commercials for the latest and greatest kitchen appliances appeal to the practical side in all of us, but these high-end features come at an increased cost. However, upon further review of these convertible refrigerator models, it would appear they offer an exceptional level of function and versatility, making them a solid choice for many homeowners. 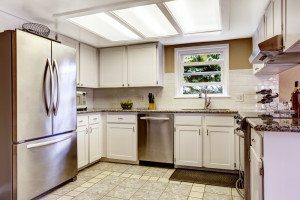 How do Convertible Refrigerators Work? Convertible units can function as either a refrigerator or a freezer. With some models, the entire unit changes from one to the other and back again, depending on your needs. Other models feature specific compartments or drawers that convert. In both types of appliances, conversion is easy — simply push a button. When switching between modes, it does take some time for the appliance to adjust, though. Depending upon the particular model and whether the unit is going from freezer to refrigerator or vice versa, it can take up to 24 hours for a convertible refrigerator to completely transform between modes. If you are looking to replace your current refrigerator or invest in an additional stand-alone freezer, you may want to consider purchasing a convertible model for its added flexibility. Use the appliance in refrigerator mode to store extra drinks in the summer, or to hold fresh food platters and catering trays before a big party. Switch the unit or convertible drawer over to freezer mode, and you can stock it with frozen fruits and vegetables and extra meats to take you through winter. Because convertible refrigerators easily transform into freezer mode, you can take full advantage of sales and purchase frozen foods and meats when they are at the best prices. This also makes tucking away holiday leftovers a breeze. In both refrigerator and freezer modes, most convertible units provide reliable temperature control, and most also are energy efficient. The self-defrosting features in these modern models are highly effective, eliminating the need to perform this chore manually. Units with convertible drawers or compartments have a modern appearance, allowing them to add both function and style to any kitchen. Models in which the entire unit converts between modes, however, have a plain white box design, the same utilitarian style of most stand-alone freezers. They are more accommodating than many freezers, however, with adjustable shelves, pull-out drawers and moveable door storage. These convertible refrigerators are typically meant to be placed in a basement or garage, for secondary food storage purposes. If the needs of your household are continually changing, or if you appreciate the flexibility offered by a convertible appliance, one of these units may be a good choice for your family. 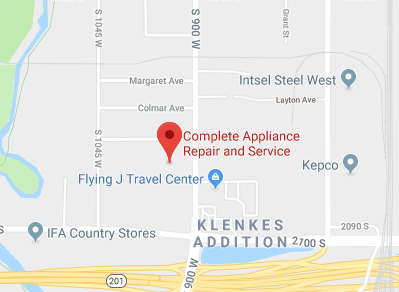 Contact the experts at Complete Appliance Repair in Salt Lake City for more information and advice on all types of household appliances, including convertible refrigerators. This entry was posted in Blog and tagged Convertible Refrigerators, New Appliances on October 27, 2015 by admin.